God bless Sheffield bred alternative indie music! 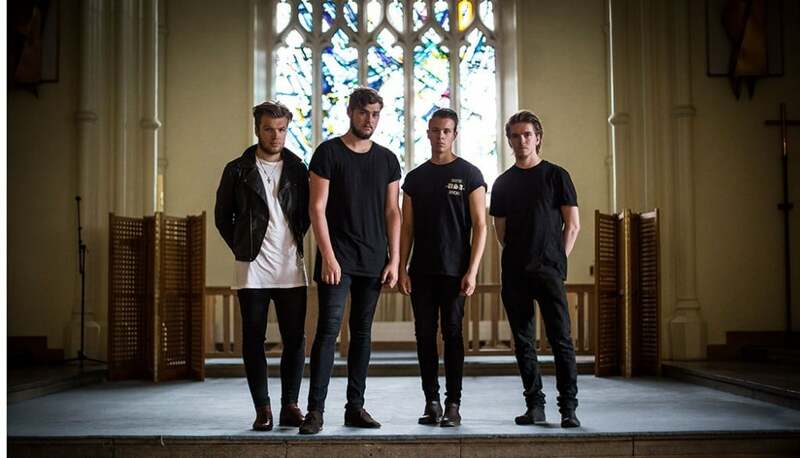 Exposed has, quite literally, taken a pew inside St Mary’s Cathedral, Bramall Lane, as this month’s In Sesh features The Ratells – voted by the great Sheffield public as 2014’s ‘Best Unsigned Band’ at our Exposed Awards. 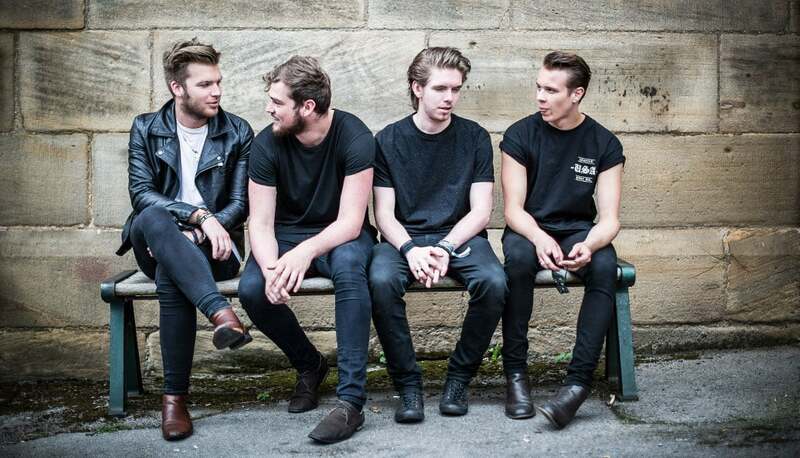 We chat to the lads about touring, new music and gre’t big hills in the Steel City. So chaps, what tracks have you chosen to play for Exposed in Session? ‘Behind the Fire’ was your most recent release? Danny: Yeah, that was released last April. It was recorded with Ross Orton, and it managed to peak at 36 in the iTunes Alternative chart – which was pretty cool. Danny: It was great to see it doing so well – It even managed to sneak into the main chart, at like 180 or summat like that. It was strange seeing it chart around songs off the Monkeys latest album and stuff from One Direction. Reyt effort! What about ‘Darken the Stars’? Sam: That’s a new one. We always discuss how we want to expand our instrumentation – so when Danny got a synth, we all got excited and managed to thrash out a song in three hours. Ash: We were just jamming about; Danny started by playing a couple of notes and Ben began drumming along to it. It all came together nicely. It’s a nice, chilled out song – but it builds to a massive crescendo. You’ve been playing music together for about 6 years now. Is it fair to say that you’ve cemented your style/sound now? Sam: We feel very sure of ourselves as a band now. I think you always need to leave a bit of room for adjustment, though. Ben: The sound will never be set in stone. We’ll always be looking to improve or change whenever we write new music. Over those long years, what knowledge have you gleaned? Ben: Not to play Sheffield pretty much every week. 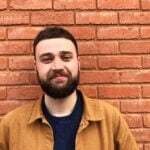 Sam: Yeah, don’t get me wrong, we love the venues we’d regularly play around Sheffield – Soyo and the like – but it was good to get out and try different places. Ash: You’ve got to get out and try play in as many different cities as you can. You tend to be quite well supported when you travel nowadays, but have you ever turned up at some venue in the arse-end of Scotland and found just three men and a dog in the audience? Sam: Absolutely! The audience for our first ever gig in London consisted of the sound guy and four people. Ash: To be fair, we were meant to be going on stage at 9.30 – but we ended up playing at about 1.30 in the morning. Some old bloke with an accordion even got on before us! Sam: Well, I just think that you should never turn down gigs. Even if you treat a quiet gig as a practice, it’s still worth doing. Ben: As we’ve mentioned, we’ve travelled to Scotland and played gigs where there was more people on stage than in the crowd – but those were some of the best times we’ve had together. Danny: It’s how you earn your stripes. Apart from winning the Exposed Award for ‘Best Unsigned Band’ earlier this year, are any other highlights or landmarks that you look back on now? Sam: That award gets a polish once a week! Danny: It looked proper genuine at first. Harsh! But it’s clear that you make a conscious effort to communicate with your fans at gigs, through your blog, social media, etc. Would you say that genuine band-fan interaction is lacking in music today? Sam: I understand that it can be insanely difficult for some bands, but at our level it’s perfect. It’s easy for us, because we share the same music tastes, they’re all good fun and cool people to meet. Obviously, we’re not blaming bands like Arctic Monkeys for not going for a drink with everyone after they’ve played to an arena. Danny: To be honest, it’s just nice to make friends with new people. We’ve met some really great people after our gigs – that’s the main reason we do it. You were back in Sheffield at the Rocking Chair earlier last month. Now that you’re more of a touring band do the hometown gigs feel a bit special? Sam: Yeah, they definitely do mean a bit more to us now. Ben: We finished the tour on that gig – and we were buzzing for weeks before because we knew it would be a sell-out. Ok, now that we’re talking Sheffield, I think it’s time to test some of your local knowledge. *Pulls out a copy of ‘Sheffield – a pocket miscellany’ by Jonathen Skews* Ok, we’ll start with crime statistics; which of the following had the highest crime rate per 1,000 residents in 2008 – Burglary, criminal damage, drug offences or offences against vehicles? Ash: It’s either criminal damage or offences against vehicles. Erm, I think we should go for the criminal damage one – that’s our final answer. Correct! Criminal damage was at 23.6 – well above the national average of 17. Bad times. Moving on, what do you reckon are the top five steepest hills in Sheffield? Ben: Gi’or! What about the one in the Tour de France? Jenkin Road is in there, yep. Sam: There’s one near Middlewood that’s just nuts. I can’t remember the name now. Ok, I’ll put you out of your misery. The steepest hill in Sheffield is Hagg Hill. Sam: Of course it is! That’s my ends – I can’t believe I didn’t get it. Last piece of Sheffield miscellany: as of 2008, roughly how much was Sheffield’s economy worth? Ash: I an’t got a clue! Sam: Ah, I’m going to have a guess at 11 billion. Sam, you’re not far off there! Sheffield’s economy was worth 9 billion as of 2008. Now, let’s get back to music; what’s on the horizon for The Ratells? Danny: A lot of writing, really. I think we’re gonna hide away for a bit in the studio and get our heads down. Ash: We really want to be in everyone’s faces next year – so the next few months are going to be a busy one.